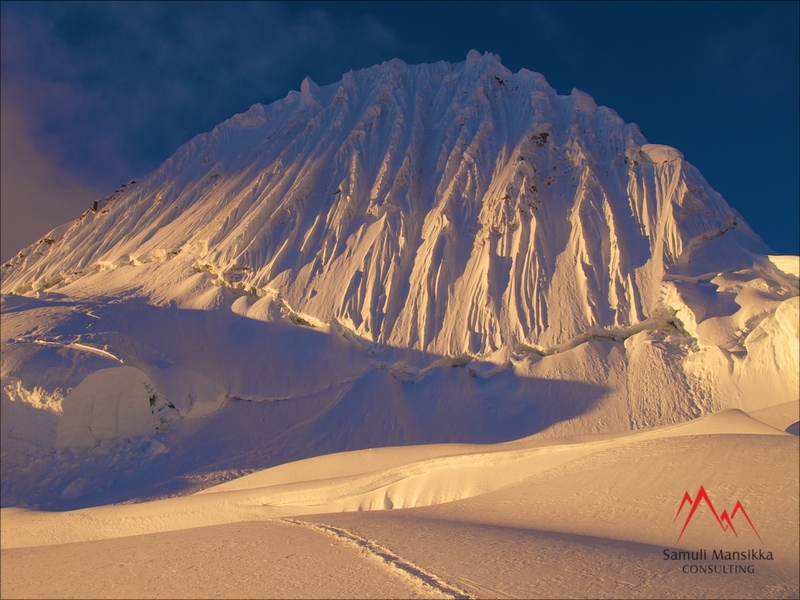 Samuli Mansikka || Alpamayo French Direct, Cordillera Blanca, Peru Jun 27th – Jul 9th 2012. Alpamayo French Direct, Cordillera Blanca, Peru Jun 27th – Jul 9th 2012. Led by Phil Crampton and Samuli this was Altitude Junkies’ first outing to Peru’s Cordillera Blanca. Our objective was to climb Alpamayo (5947m.) and nearby Quitaraju (6040m.). Snow-conditions on the latter were considered avalanche-prone and we only climbed Alpamayo through it’s fun French Direct route. Accommodated both Moraine Camp (4900m.) and Col Camp (5400m.) during acclimatizing period. We were lucky to have the mountain to ourselves. Snow-conditions and the weather were perfect. Find Phil Crampton’s dispatches here! Altitude Junkies offer annual trips to Cordillera Blanca during summer months. Please browse the programs at Junkies’ website here!